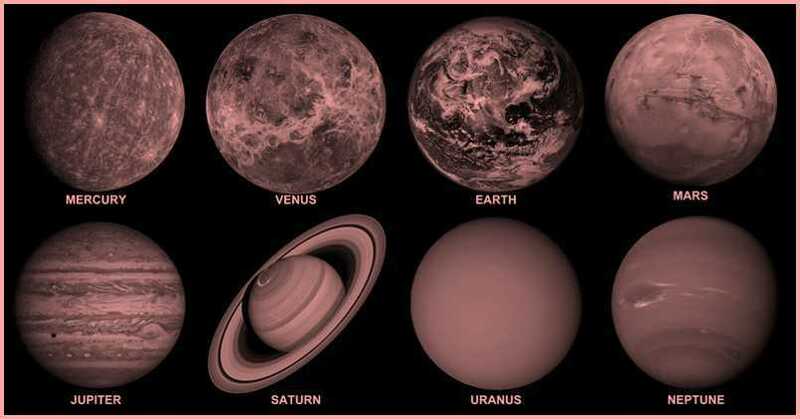 The sun, the planets and all the objects moving around the planets are collectively called the solar system. The solar system is in a galaxy which is known as "the milky way". There are 8 planets in the solar system. 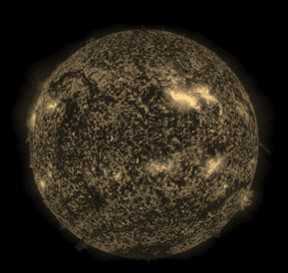 Sun is a ball of hot and burning gases. It is made up of gases called hydrogen and helium. Sun is the nearest star to the Earth. Sun is the major source of all energy for life on earth. 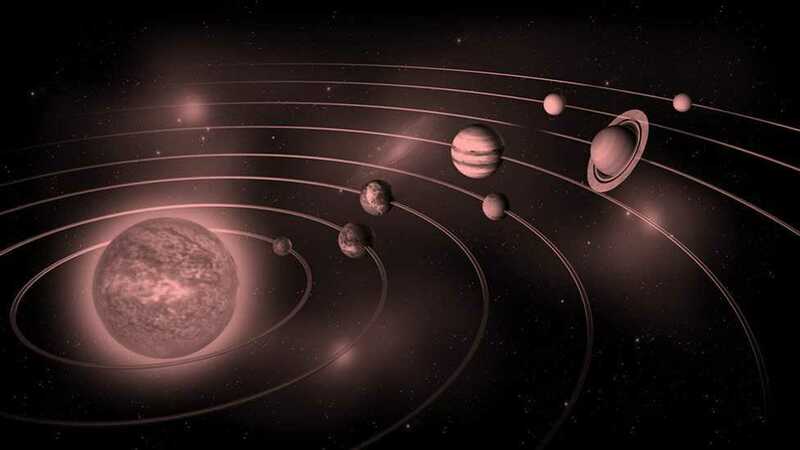 Planets are heavenly bodies revolving around the sun in elliptical orbits. There is a ring of small bodies between the inner & the outer planets, which are made up of rocks & metals. These are called Asteroids. They keep moving around the sun and this ring is called the Asteroids belt. The inner planets are also called the rocky planets as they are made up of rocks. Mercury has large variations in its temperatures during day and night. Mercury does not have any satellite of its own. There is no water or atmosphere on Mercury. 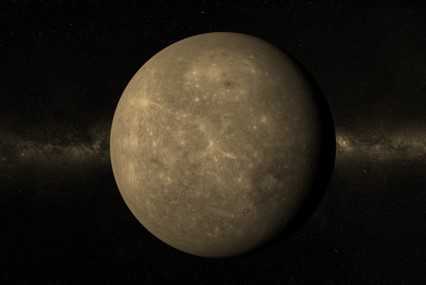 88 days on Mercury makes a year as it takes Mercury 88 days to orbit around the sun, hence Mercury has the shortest year among all planets. Mercury can be seen with naked eyes. No seasons exists on Mercury's surface. Venus orbits around the sun once in about 225 earth days. Venus doesn’t have any oceans. Its atmosphere is made up mostly of carbon dioxide. There are almost no water vapours in its air. 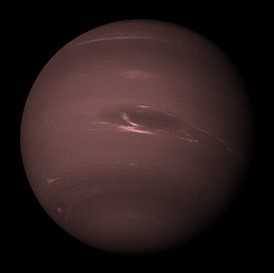 Venus is totally covered by clouds, this is why it is also known as a Veiled planet. There are many volcanoes on Venus. These volcanoes are not active anymore, which means they do not erupt. 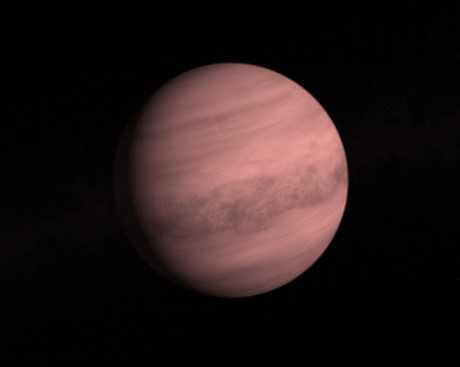 Venus is covered by thick clouds, therefore it reflects a lot of sunlight making it the brightest planet. It is the hottest planet in our solar system. Venus reaches its maximum brightness shortly before sunrise or shortly after sunset, so it is also known as either the Morningstar or the Evening star. It has the slowest rotation in the solar system. It is the largest of the four inner planets. Earth is often called the Water Planet because of the presence of water on it. It is the only planet in our solar system that has liquid water on its surface. About 71% of the earth’s surface is covered by water. It reflects about 1/3rd of sunlight that it receives. 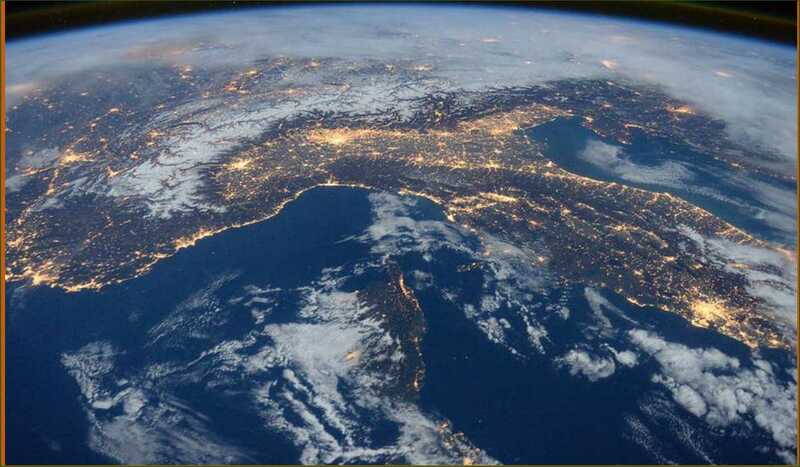 Earth is called the blue planet because from space the oceans combined with the atmosphere makes the planet look blue. 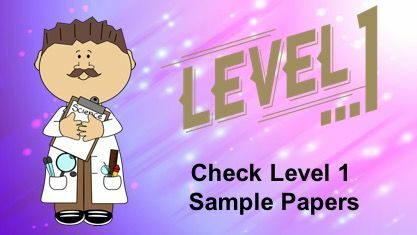 The layer of gases remains attached to the ground of the planet due to gravity which prevents too much heat or UV rays from the Sun reaching the earth. Moon is the only satellite of the earth. It revolves around the sun and due to its tilt, seasons are created. It rotates about its own axis, thus creating day and night. 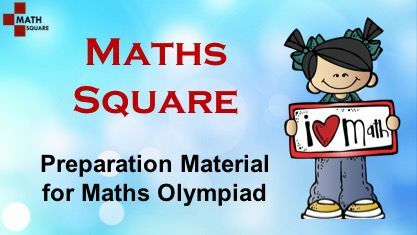 It takes 24 hours to make one rotation. It orbits the sun once in about 365 earth days. Mars’s diameter is approximately half the diameter of the Earth. 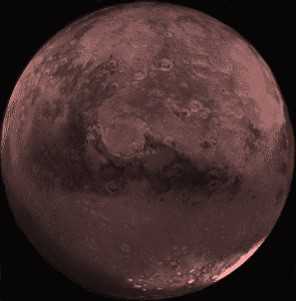 It is also called the red planet. Mars also has the largest dust storms in the solar system. Jupiter is named after the Roman God Jupiter (the ruler of Roman gods). Jupiter is so big that you could fit all the other planets in the solar system inside it. It has a great red spot which is the rotating storm system inside the planet. 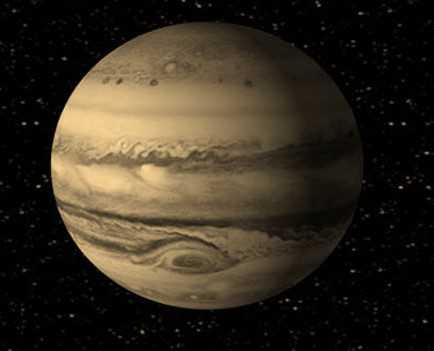 Jupiter rotates faster than any other planet. It completes one rotation in 10 hours. Jupiter has a faint ring system which appears to be made up of dust. This is also a windy planet as the fast rotation causes high winds. It is named after the Roman god Saturn. 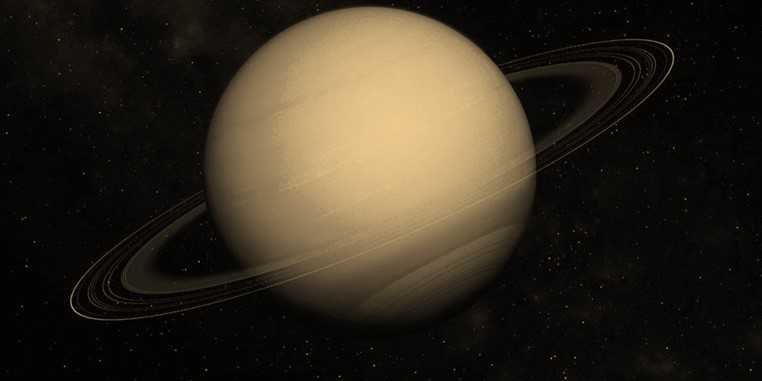 Saturn is classified as a gas giant planet. It has 22 known satellites. 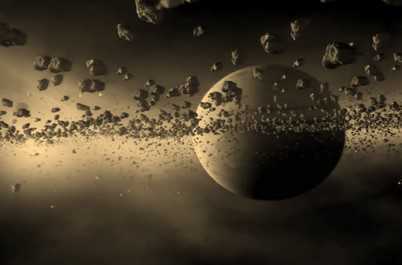 Saturn's rings are made of many pieces of rocks & ice. It is named after the Roman god of the sky. 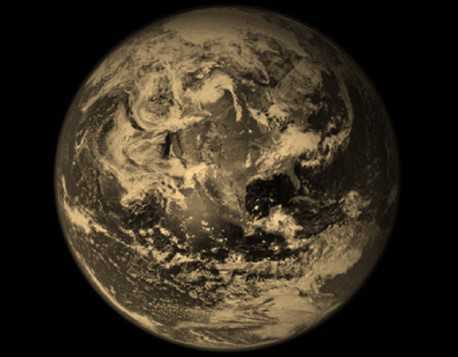 It is the only planet which rotates on its axis from east to west. It has 27 known satellites. It has at least ten thin uniform black rings, which are made of dust. 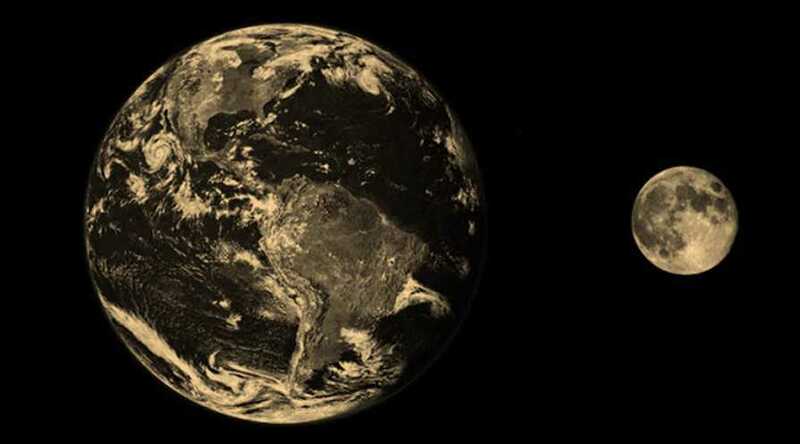 It is a very cold planet; it receives 370 times less sunlight than earth as it is far away from Sun as compared to Earth. Uranus is tilted in such a way that a season lasts there for 20 years. As it is very far from the sun, it completes an orbit on average every 164.79 years. Neptune is known to be the coldest planet in the solar system and it has slowest revolution speed in the solar system. It can't be seen with the naked eyes. It is the Earth's only satellite. Like everything else in the solar system, the Moon also does not have its own light. It gets its light due to Sun's light. There is no water on its surface. The moon has no atmosphere, therefore there is a huge difference between day and night temperature. Its diameter is 1/4th of the Earth. It appears bigger to us as it is very close to Earth. 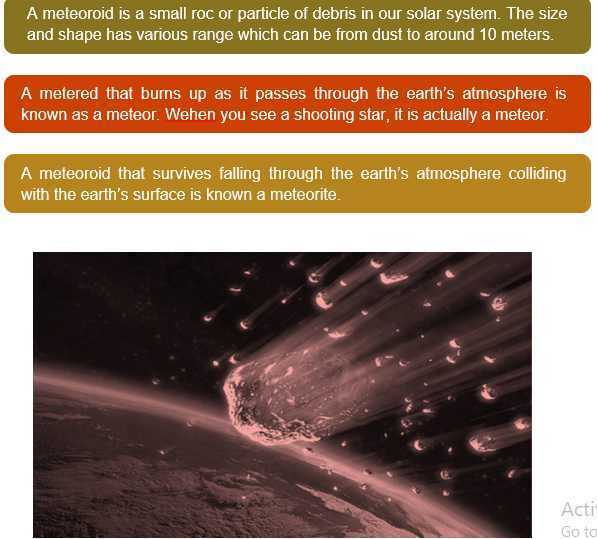 An asteroid is a large rock in the outer space. 26 very large asteroids have been discovered, which are mostly the big ones. But there are still millions of smaller ones that we are yet to see because they are too tiny. 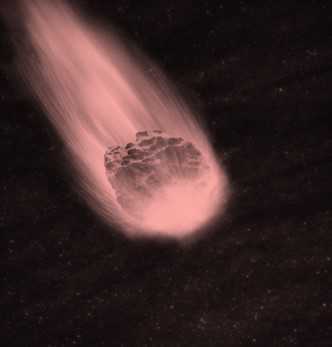 Comets are the celestial body moving about the Sun, consisting of a central mass surrounded by an envelope of dust and gas that may form a tail that streams away from the sun. When comets are close enough to the sun, they display a visible coma (a fuzzy outline or atmosphere due to solar radiation) and sometimes a tail. Earth is often called the Water Planet because of the presence of water on it. It is the only planet in our solar system that has liquid water on its surface. About 71% of the earth’s surface is covered by water. It reflects about 1/3rdof sunlight that it receives. Comets are the celestial body moving about the sun, consisting of a central mass surrounded by an envelope of dust and gas that may form a tail that streams away from the Sun. Which among these doesn't have its own light? Which star is responsible for the light emitted by moon? Which planet is known as the Blue Planet? Sea breeze blows during ___________________. 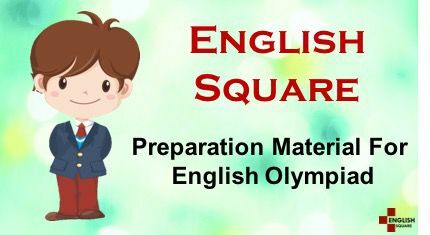 What is the major composition of Sun? Which Planet has the most visible rings? What is the increase in the temperature of the sand after being placedfor an hour int he sunlight? Which is termed as the rocky object of our Universe?